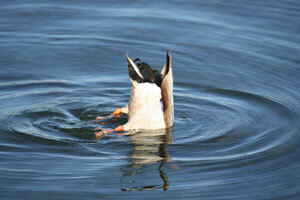 Ig Nobel Prize: Noble Cause? 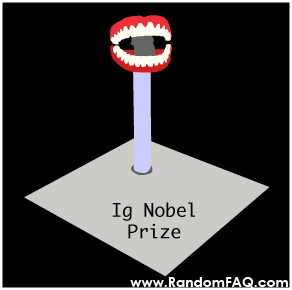 "Ig Nobel" is a play on the word ignoble (improper) and the original Nobel Prize. The awards themselves are delivered with all the prestige of the Nobel Prize with a dose of comic relief in the reality of such obscure experiments. In 2005 winners included, "Pressures Produced When Penguins Pooh," a Japanese man who photo-documented 34 years of his eating habits, those who answered the question of whether humans swim better in water or syrup, and last but not least, the monitoring of brain activity in locusts during Star Wars.